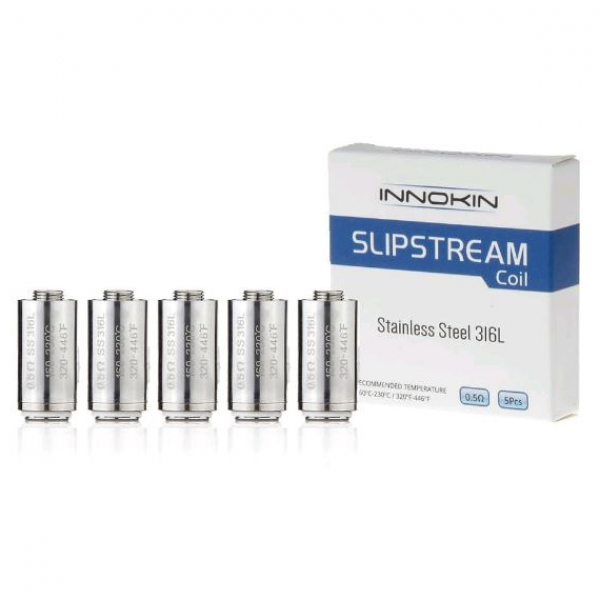 The Innokin Slipstream Replacement Coils Designed for the Innokin Slipstream tank, these BVC coils are built for flavour. Features a bottom vertical coil funnelling air from the top of the coil down. Please NOTE this is for 1 coil, if you would like to purchase a pack of coils then please up the quantity to 5. The Kanthal 0.8ohm coil is a general-purpose coil that’s ideal for all day vaping. 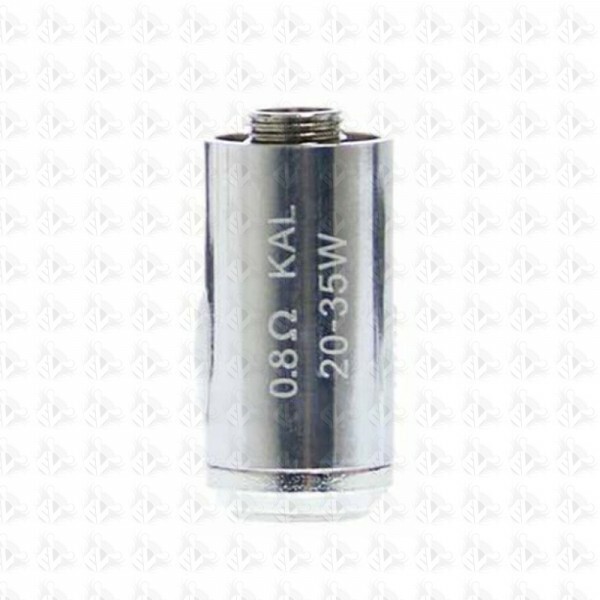 The 0.8 ohm coil produces good flavour when fired at wattage settings between 20 and 35 Watts. The alternative is the 0.5 ohm stainless steel coil which enhances flavour production and generates bigger clouds. The Stainless steel Slipstream coils are rated to fire between 2 and 30 Watts. These coils can also be used for temperature controlled vaping.